You have 15 minutes to get ready after your morning workout before you have to dash to the subway (or your car) and get to work. You’re a sweaty mess and, oh, there are no showers at your studio. With the boutique fitness boom, comes sweat—and lots of it. But showers aren’t always part of that equation. So how do you combat the post-workout stink—and stickiness—without one? Amanda Freeman turned scores of Manhattan women into Megaformer addicts with her workout SLT—and none of them seem to mind that her studios are sans showers, including Freeman herself. 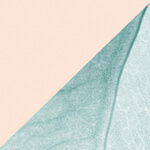 Freeman fakes a shower by cleaning up with rosewater wipes by Shoba. “I use them on my neck, chest, back, underarms, and bikini area,” she says. 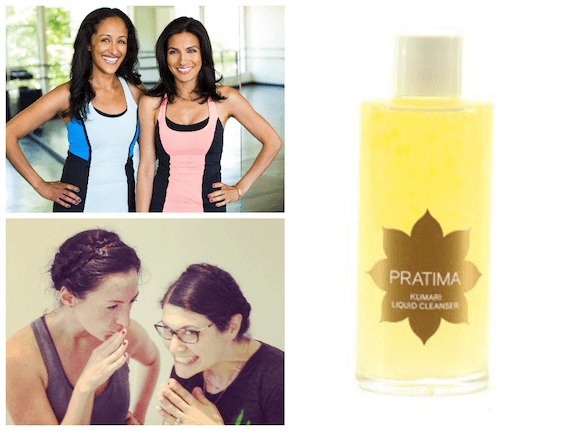 “Sweating this much is a natural facial, so once our pores are clear, we like washing up with clean and natural products, like Pratima Skincare,” says Kajal Desai, who, with Priya Pandya, co-founded the Bollywood-inspired workout and just opened their first studio. “Doonya students have started a new braid trend that’s the perfect updo during and after your workout! Just divide hair into two sections and braid to each side. Then pin it up on top of your head for a beautiful braided wreath look,” says Desai. She also suggests adding some leave-in conditioner before you braid it, so you can unravel it after class, add a little dry shampoo, and blow dry. Hannah and Marian are regulars at Barry’s Bootcamp and Scared Sounds Yoga. And when a shower isn’t the cards for them, they don’t worry much about it. “This is kind of a weird answer, but I think that one of the reasons a lot of people smell after is because of the deodorant they use. I use a natural salt stick, called Crystal Deodorant. You can get it at CVS…I’ve never once had BO using it,” says Hannah. The duo also uses a facial mist of essential oils and rose water that a friend made them. 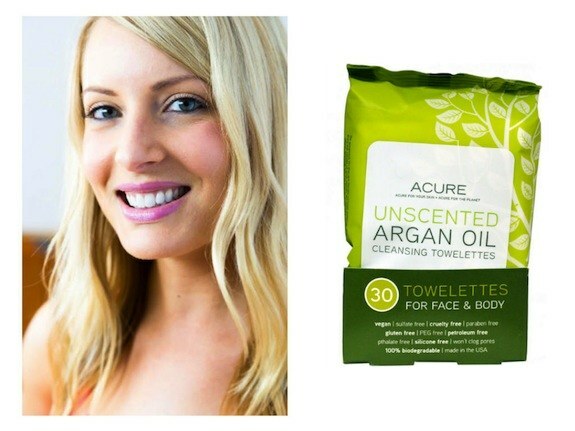 “It smells SO good and calms and hydrates my skin, which gets hot and red after workouts. It makes me feel like I smell fresh. You can buy the essential oils and make one,” she says. Even though you would never know from the looks of her, yes, Rebecca Kennedy sweats, too. Her trick? Baby wipes! “They’re super fresh, cooling to the skin and are very gentle on the armpit area, which can be easily irritated,” says Kennedy. She follows up with Yon-Ka Skin Lotion “all over my body immediately after a ‘no-shower’ wipe down because it’s very light and refreshing and doesn’t make me feel like I’m just covering up odor,” she says. Living Proof is also her new favorite dry shampoo brand, she says. “It smells terrific and doesn’t leave your hair looking like you dove headfirst into a bucket of powder, says Kennedy, who has some great tips on how to use dry shampoo. As a New York City fashion stylist and brand spokesperson Bibbo Herr is constantly running to showrooms and press previews to get the scoop on the latest fitness fashion looks—and that involves testing them out, too. 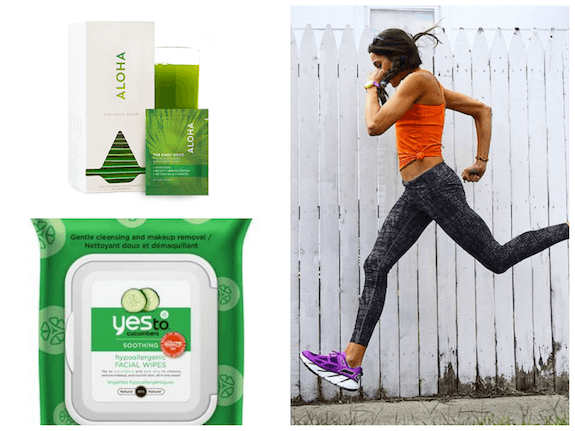 She loves keep Yes To Cucumber Facial Wipes on her for post-workout refreshes. “I use them all over my body and I put them in every bag,” she says. And she carries Aloha’s Daily Good packs with her. “I’ll have them right after class. They help me stay hydrated,” Herr says, which leaves your skin glowing, too. “I’ve never had much patience for doing my hair, so cutting my hair short was definitely the right move,” says Shakeshaft, whose focus is on the online workout platform, DailyBurn, when she’s not at the gym. “If your hair is short enough, a headband does the trick for workouts—no hair tie necessary, so when you head out of the studio your ‘do is dent-free,” says Shakeshaft. “I love Neal’s Yard Remedies wipes for after the gym because they get rid of sweat and bacteria without stripping my skin. They’re packed with skin-soothing ingredients (white tea and aloe vera) and the faint lavender scent helps me to relax,” says Atwood. Danielle DuBoise and Whitney Tingle eat a lot of beauty foods that keep their bodies—and skin—super healthy. 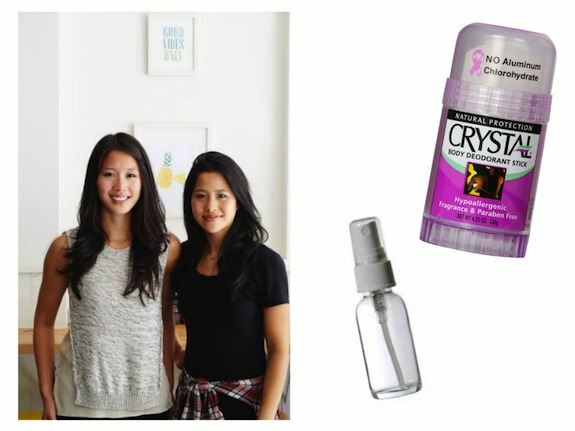 They also have a few favorite products (including a DIY one!) for après sweat sessions, when smoothies and salads don’t quite get the job done. “I love Bee Yummy skin food! It’s all natural (and edible!) food for your skin that is truly soothing. I was introduced to this baby about a year ago and I’m obsessed,” says Tingle.